Categories: Antioxydants, Energy, Health | Tags: Alpha 20C, Calli, Citric C Tab, Fortune Delight, Hand Cleansing gel, Liquid Soap, NuPlus, Quinary, Sunny Dew, Sunpack | Permalink. Please note that some products might not be available in your country. Categories: Antioxydants, Health | Tags: Calli, Citric C Tab, Energy Plus, Fortune Delight, Metashaper, VitaFruit | Permalink. I am not an ultra marathoner, but within the last 5–6 years I have challenged myself to sign up for a half marathon a year so I have a goal to work toward during those hard winter months. Within the last year I relocated to Knoxville, TN, where I was introduced to Sunrider by the company I work with. Since then, I have become a Sunrider IBO and have incorporated several products into my daily routine. I decided to put these products to the test and see if my performance and endurance improved. To my surprise, they certainly did! I incorporated one Liqui-Five® and one Evergreen® daily. I would drink Fortune Delight® for my beverage of choice before, during, and after my workouts. I also had a VitaShake® at least once a day to nourish my body. I also combined the Citric C™ Tab and Herb Cal® Tab either before or after my runs, taking 1–2 of each. I never had any trouble with muscle cramps. For my long runs, I carried Sunrise® for extra calories, and when I was between miles 6–8 I would drink it—that kept me energized to finish my run. The morning of my race, I took a Liqui-Five® about 30 minutes before my race started. During my run, I felt very balanced. I didn’t have any side or muscle cramps and I felt energized. The best part was I shaved 20 minutes off my last half marathon pace, finishing in just 1 hour and 44 minutes! Since I was introduced to Sunrider, my eating habits have changed completely. 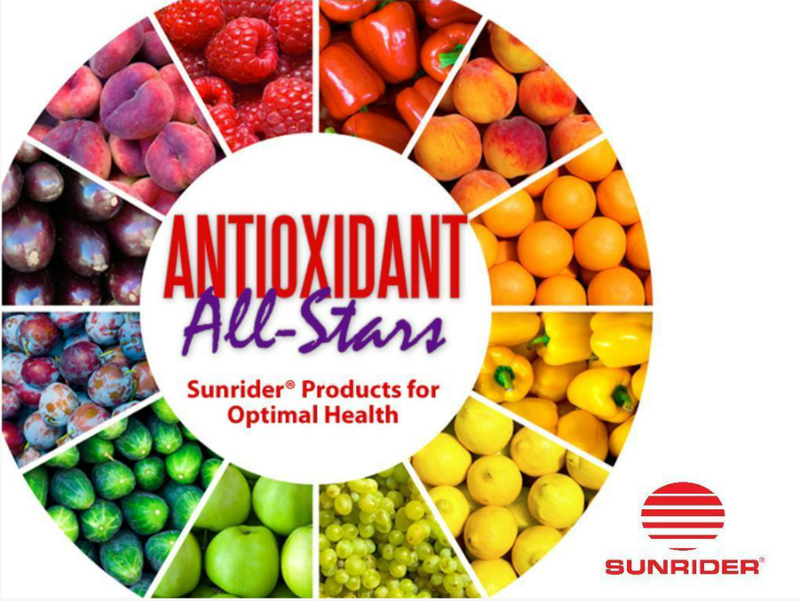 I feel I am cleansed, nourished, and balanced when I eat the Sunrider® foods. I am glad to be a part of such a reliable company. I hope whoever reads this can be as inspired as I am to continue using these reliable products! My next race is in less than four weeks! Categories: Energy, Sport | Tags: Citric C Tab, Evergreen, Fortune Delight, Herb Cal Tab, Liqui-Five, Sunrise, Vitashake | Permalink. Be prepared during cold and flu season to protect the health of your family with a proactive approach. Because there is still no cure for cold and flu viruses, preventative action should be your focus. Here are a few simple and easy measures you can employ to bolster your immune system and minimize the risk of getting sick. Cold and flu viruses are easily spread. People cough or sneeze into their hands and then contaminate shared objects such as keyboards, phones, and door handles—and the viruses can live on these surfaces for hours! One of the best and easiest ways to combat the spread of sickness is to clean your hands frequently. For on-the-go use, there’s nothing better than Kandesn® Hand Cleansing Gel—slip it into your purse or pocket to enable effective, waterless cleansing wherever you go. And Oi-Lin® Liquid Soap is perfect for daily household use; like our hand cleaning gel, it moisturizes while it cleanses, so your skin won’t be left dry or chapped, just clean, soft, and refreshed. The best prescription for preventing illness during the cold and flu season is to practice healthy habits. And this includes getting enough exercise. Maintaining a regular exercise program of low-to-high intensity workouts for at least 30 minutes several days a week is recommended to build a strong immune system. Overall fitness helps the body stay healthier and ward off illness, as well as helping you recover more quickly when you do get sick. 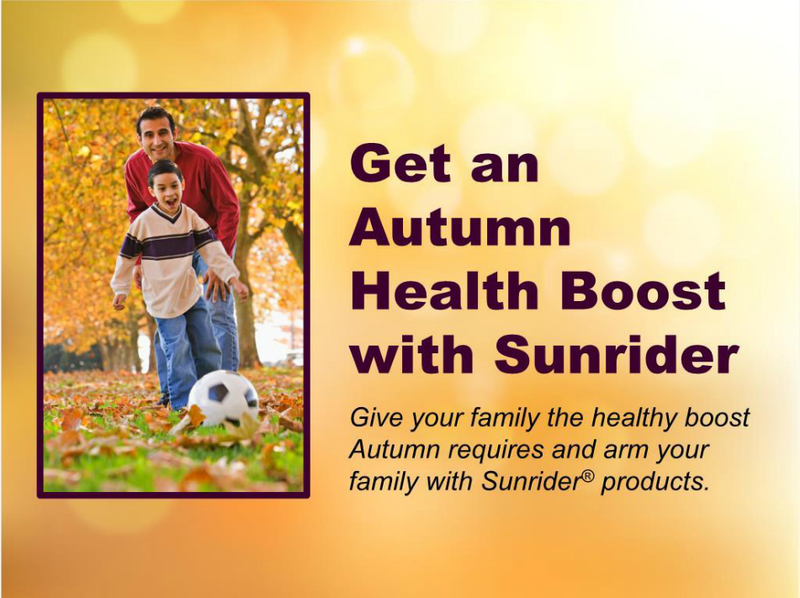 Sunrider has a wide array of sports and nutritional supplements including Dr. Chen® MetaBooster® and Electrosport® that are designed to supercharge your workout routine and keep you going strong. Drinking plenty of fluids keeps your body hydrated and can be a good way to take in body-fortifying nutrients. In addition to being delicious “winter warmer” teas, Calli® and Fortune Delight® provide a host of nutrients, including tea catechins, antioxidants, and bioflavonoids. Drinking these concentrated herbal beverages also enhances the body’s natural cleansing process. Getting your daily allowance of vitamin C is a good way to support immune system health. Citric C™ Tab contains 125 mg of vitamin C—200% of the daily recommended value. Our Tabs are formulated with a body-boosting blend of natural ingredients, including citrus bioflavonoids, green tea leaf extract, and concentrated rose hips, all known for their antioxidant properties. This chewable supplement is a tasty, convenient way to get your daily vitamin C and support optimal health. And parents, Citric C™ Tabs have a natural orange flavor that kids love! Not getting enough sleep can tax your immune system, leaving you more vulnerable to cold and flu viruses. Be aware of how many hours of sleep a night your body needs to feel rested and alert, and supplement it with short naps of 15–30 minutes if possible. Our all-natural herbal tea, Calli® Night, makes a soothing beverage to enjoy before bedtime to promote a good night’s sleep. You can also rub some SunBreeze® Oil or Balm on your neck or muscles to help you unwind and relax—it’s a wonderful way to induce a restful, restorative sleep. Categories: Health | Tags: Calli, Citric C Tab, Fortune Delight, Liquid Soap, Sunbreeze | Permalink.